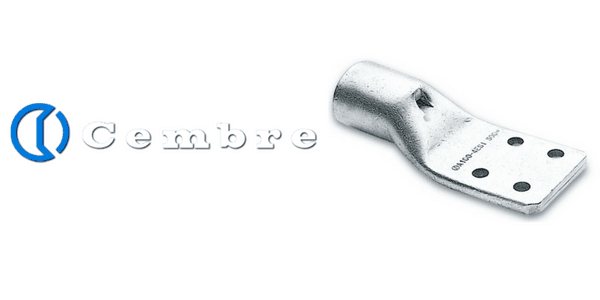 Cembre A-4ESI series of transformer cable lug connectors are made from high purity electrolytic copper tube (body and fixing), annealed and tin plated. The four hole stud fixing is in accordance with E.A. specifications ensures compatibility with most transformer fixing arrangements. 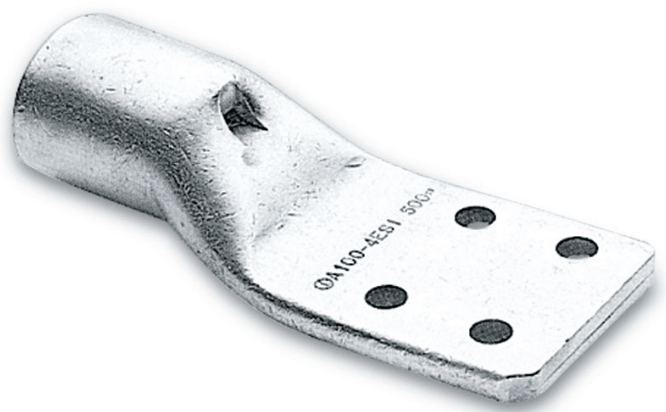 Transformer cable lugs are to ESI standards with M8 studs (25mm x 35mm centres) – note the stud holes accept M10 bolts. Suitable for use with stranded copper conductors to BS6360 Class 2 for applications up to 11kV when used within a protected environment and crimped with the correct Cembre die set/tool combination. Copper cables with solid sectoral shaped conductor (Class 2) can be terminated by pre-rounding of the conductor before positioning over the cable prior to crimping using hydraulic and battery operated crimping tools. Cable lugs suitable for terminating stranded copper cables into medium/high voltage power and distribution transformers including dry type, cast-resin and oil immersed operating at 11kV/33kV. ➡ See also Aluminium Cable Lugs & Copper Cable Lugs for 11kV-33kV medium and high voltage cable connections and terminations. 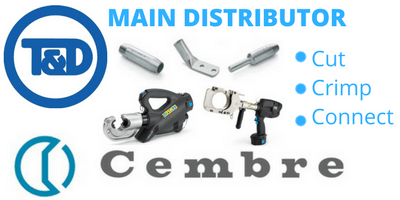 ➡ T&D are Main Distributors for Cembre stocking a complete range of cable cutting and crimping tools.